Samsung released its Galaxy Not 5 in August and it was considered to be excellent overall, although a little pricey. The Galaxy Note 5 really had a chance at being the best phablet released this year, given its high- end hardware and eye- catching design. But now it seems that the Huawei Mate S is going to hit the stores this month and it could be a powerful competitor in the race for the best phablet title. In order to see which device is more likely to be called the best smartphone in this category, we decided to look into both devices. The Galaxy Note 5, released in the summer is clearly a step forward compared to the galaxy Note 4. Although it still keeps Samsung’s specific shape, the Galaxy Note 5’s design is smoother and more appealing than its predecessor’s. Its screen- to- body ratio was increased and it’s also slimmer and lighter than the Galaxy Note 4. The metal unibody and Gorilla Glass 4 cover not only makes the GalaxyNote 5 look good, it also confers a premium feel to it. The Galaxy Note 5 features a physical home button on the lower edge of the device, alongside two capacitive buttons that are meant to ensure easy access to some features of the smartphone. It is equipped with a 5.7- inches, Super AMOLED touchscreen which was improved in terms of color saturation and brightness. Due to the 1440 x 2560 pixels resolution and 518 ppi pixel density the display of the Galaxy Note 5 will deliver crisp and clear images. The Galaxy Note 5 comes with a S Pen stylus. The S Pen slides out from the bottom of the phone’s frame if you click it. Users can write down anything when using the smartphone phone by enabling “Screen off memo” in settings. All that users write will be saved in the S notes app. Although it may not be everyone’s cup cup of tea to be able to write on their smartphones, probably for some people it will be a great extra feature the Galaxy Note 5 has to offer. The Galaxy Note 5 currently runs on Android 5.1.1 Lollipop- based TouchWiz UI and will probably get the Android 6.0 Marshmallow update in the near future. It is powered by a Exynos 7420 chipset and boasts a Quad-core 1.5 GHz Cortex-A53 and a Quad-core 2.1 GHz Cortex-A57 processor. The GPU of the Galaxy Note 5 is a Mali-T760MP8. As far as memory and storage go, the Galaxy Note 5 includes 4 GB of RAM and can be purchased in a 32 GB and in a 64 GB storage version. 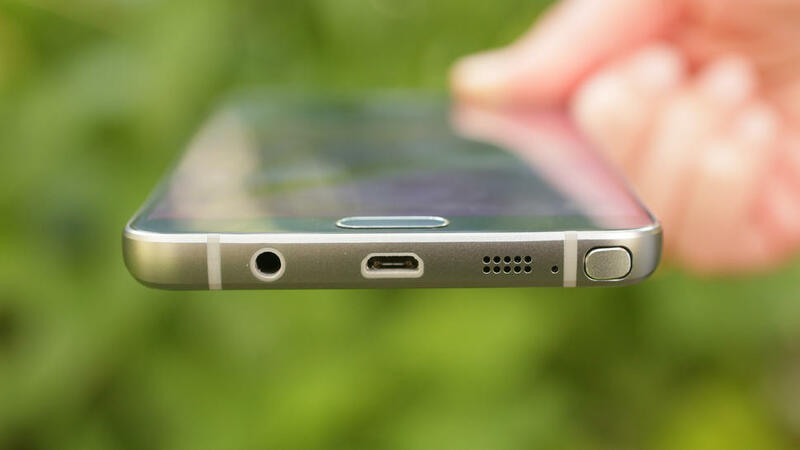 Unfortunately there is no microSD card slot, so the storage of the Galaxy Note 5 is not extendable. The Galaxy Note 5 comes with a 13 MP back camera with 5312 x 2988 pixels, optical image stabilization, autofocus and LED flash. The camera features include dual shot, Simultaneous HD video and image recording, geo-tagging, touch focus, face detection, panorama and HDR. All these features come together in delivering extremely high quality pictures. The camera of the Galaxy Note 5 is able to record 2160p@30fps and 1080p@60fps videos. The secondary camera of the Galaxy Note 5 is a pretty common 5 MP one. Connectivity- wise the Galaxy Note 5 supports Wi-Fi 802.11 a/b/g/n/ac, dual-band, Wi-Fi Direct, hotspot, GPS and Bluetooth v. 4.2. Extra features of the Galaxy note 5 include wireless charging, S-Voice natural language commands and dictation and active noise cancellation with dedicated mic. The Galaxy Note 5 has a 3000 mAh non- removable battery. Although it is smaller than the one sported by the Galaxy Note 4, the battery seems to be more efficient and last longer. All in all the Galaxy Note 5 seems to be an improved and more eye- catching version of the Galaxy Note 4. It is slimmer, lighter, more powerful and now has a stylus. It is not exactly affordable though. It has a $699.99 price tag unlocked. 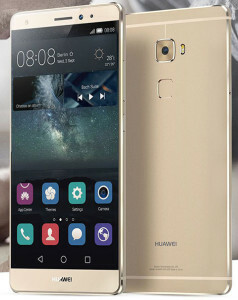 The Huawei Mate S was revealed in September and is expected to become globally available in the near future. It is considered to be the most beautiful smartphone released this year by some people. It has a metal body which offers a premium feel premium. It also looks great due to the slim build and the curved back of the device. It features a camera on the back right above the fingerprint sensor. The volume and power buttons are situated on the right side of the smartphone. There are no buttons on the front side of the Huawei Mate S, neither physical, nor capacitive. All the buttons users need will be on the touchscreen of the Huawei Mate S. The Mate S is slimmer and lighter than the Galaxy Note 5. The Huawei Mate S has a 5.5- inches AMOLED capacitive touchscreen, with 1080 p resolution and 401 ppi pixel density. This means that the image probably won’t be as clear as the one on the Galaxy Note 5. Then again, there are only a few people that can distinguish them, since our eyes are not that good in sensing these small differences. The color saturation and the contrast of the Huawei Mate S are great, and users can also change the color temperature of the display. 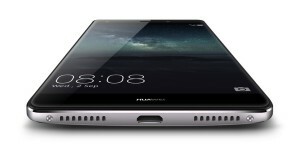 The premium version of the Huawei Mate S also offers the Force Touch display. This feature will allow users to apply different amounts of pressure to the touchscreen, which will provide one action or another depending on the level of force they used when pushing down on the touchscreen. The Huawei Mate S, just like the Galaxy Note 5, runs on EMUI 3.1, based on Android 5.1.1 Lollipop. It is powered by a HiSilicon Kirin 935 chipset. It has an octa- core processor system. Four cores are clocked at 2.2 GHz, the other four at 1.5 GHZ. The GPU the Huawei Mate is equipped with is a Mali-T628 MP4. The Huawei Mate S only includes 3 GB of RAM, which is less than the 4 GB offered by the Galaxy Note 5. On the other hand, the Huawei Mate S also offers a 128 GB storage version alongside the 32 GB and 64 GB ones. Even more, the storage of the Huawei Mate S is expandable by 128 GB due to the card slot it features. The back camera of the Mate S only has a 13 MP sensor, instead of the 16 MP the Galaxy Note 5 has to offer. The featured offered by the camera will certainly help the sensor to deliver great pictures. The Huawei Mate S includes the fully manual ‘Pro mode’ allowing you to fine tune ISO, shutter speed, brightness and more. It also features optical image stabilization, autofocus, dual-LED (dual tone) flash, just like the Samsung Galaxy Note 5. The secondary camera of the Huawei Mate S on the other hand is better than the one included in the Galaxy Note 5. The Mate S comes with a 8 MP front facing camera which also has LED flash, making it easier for users to take quality selfies. The Huawei Mate S also offers Wi- Fi, GPS and Bluetooth connectivity, just like the Samsung Galaxy Note 5. The battery featured by the Huawei Mate S is a little smaller than the one in the Galaxy Note 5. The Mate S comes with a 2700 mAh battery, which strikes us as being too small for a device with these characteristics. It probably won’t be able to ensure a good battery life, so it is a little bit disappointing. The Huawei Mate S is not a bad smartphone at all. It looks good, it’s slim and elegant and has more than decent features. But these could be better, given the price range of the Huawei Mate S. The 32GB costs €649, the 64GB version goes for €699, which is not even close to being an affordable device. For this kind of money Huawei could have done better. Which is the best phablet? Both smartphones are good enough devices. They have high end features and high end prices also. I personally prefer the design of the Samsung Galaxy Note 5 and think that the S Pen is an extra feature that might come in handy and can also be fun to use. The difference between the EMUI skin and the Android Lollipop is also a feature that can be taken into consideration when deciding upon one or the other device. The stock Android will more than likely be smoother to use than the modified version. The TouchWiz featured by the Galaxy Note 5 is closer to the stock Android, so I prefer the Samsung device’s platform. Then again, the Huawei Mate S offers more storage due to the card slot it features. It also has a better secondary camera sensor which comes with LED flash, so for those who only buy a smartphone to take selfie pictures is definitely more suitable than the Galaxy Note 5. But the Galaxy Note 5 has the better primary camera, and this would probably count more than the front facing one. Since the prices of the two phablets are similar I would go for the Samsung Galaxy Note 5. This doesn’t mean that the Huawei Mate S is not a great device also, but the higher capacity battery and the higher resolution display just seem more important to me than the extra features the Mate S has to offer.